I find it really interesting when other people write about our project here, looking at it from different angles and giving a broad overview to inform their own audience. 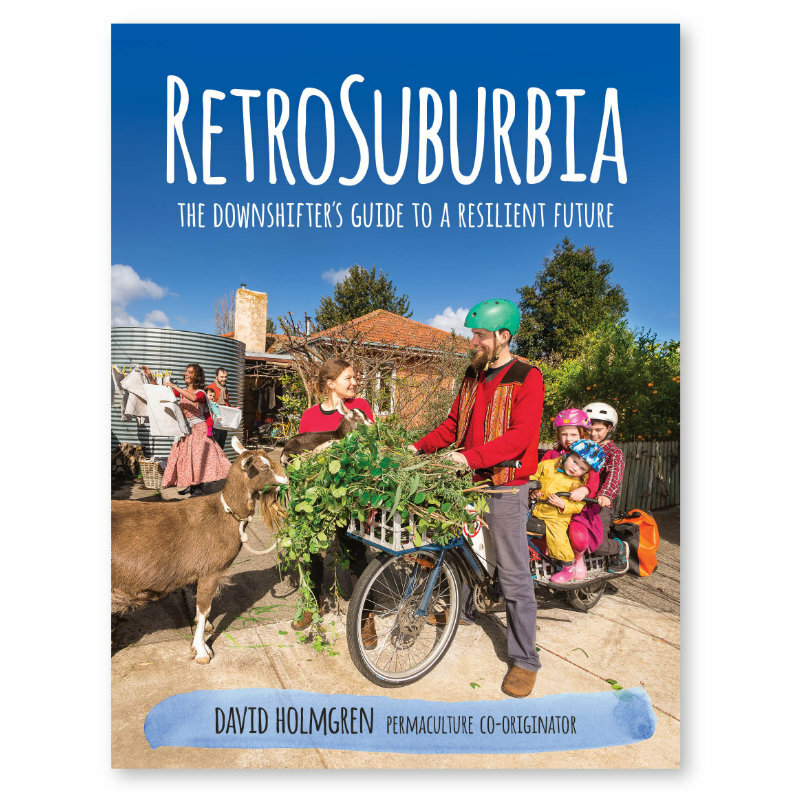 While this article will be seen as infotainment for most the ideas are gradually getting out there to our local community that there are ways that we can prepare for an energy descent future, and improve our lifestyle in the process. 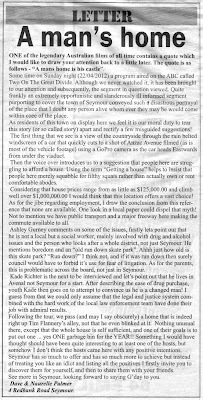 This article was written as a bit of a 'good news story' in the wake of the pasting that Seymour got from the TV program 'Two on the Great Divide'. While there are plenty of errors in it and some artistic license with my quotes, I feel that it it give a good impression of what we have been up to. 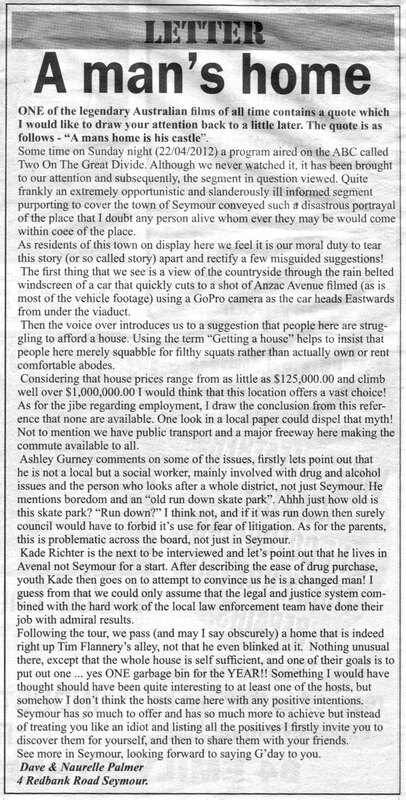 The local papers were full of letters to the editors for weeks after the first episode of the aforementioned program appeared, I thought that I'd include this one, which was the precursor to the article written above. 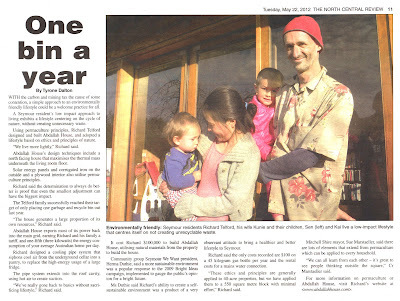 It was great to see the article about your place! They should have more stories about the myriad of things people CAN do, because people would be inspired to do more in their own homes. Wouldn't it be great if the paper could do report like this one on a regular basis. Congratulations on always speaking up.